As you've probably gathered by my recently posts from my Disney Cruise, as well as many others before it, I love to travel as much as I love to cook and eat. I love finding cool souvenirs on my trips, but my favorite way to create lasting memories from each trip is by taking a million and a half photos. Yes, I'm that person. I spend days after each trip sifting through my photos, deleting through the bad or redundant ones, and editing the best of the best to make sure they are worthy of framing. But what do you do when you have a really special memory, and a simple frame won't suffice? 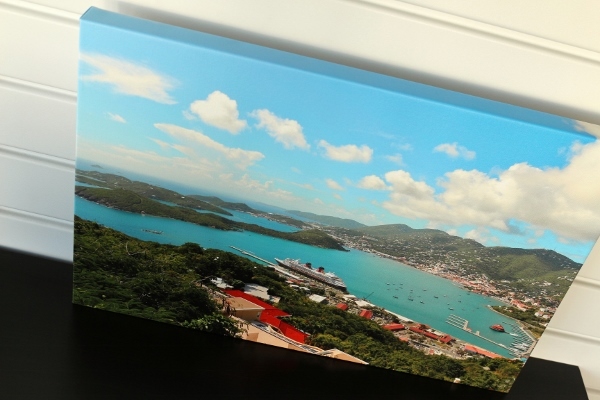 Well, with a few simple clicks you can have it professionally printed and mounted onto a canvas ready to display in your home. 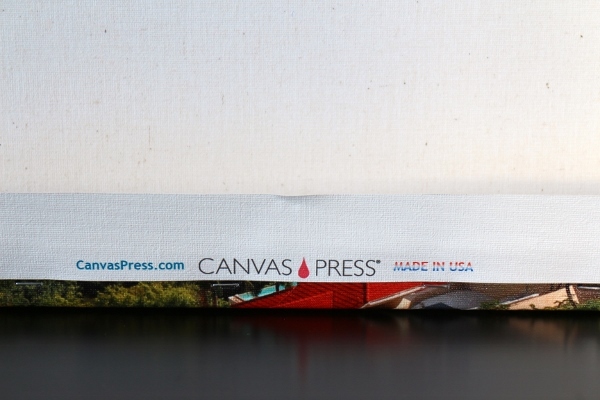 I recently checked out Canvas Press to design a canvas from one of the many Disney Cruises I've enjoyed over the years. 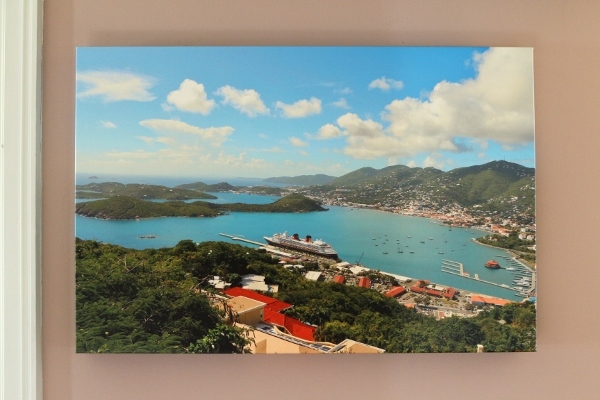 I selected one of my favorite photos from the top of Paradise Point in St. Thomas on a gorgeous, sunny, Caribbean afternoon overlooking the beautiful Disney Magic cruise ship. The process of designing my print was easy. 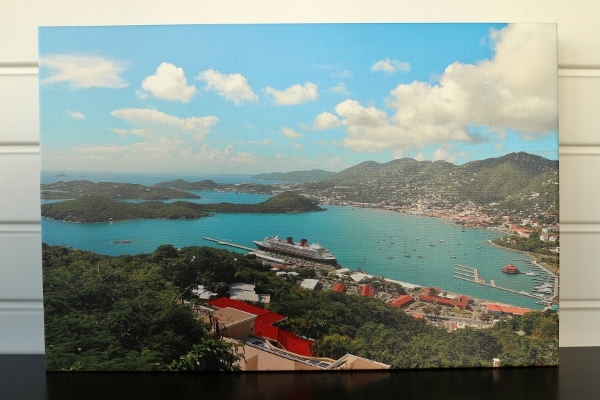 In addition to canvas prints, the website also offers paper prints, wall murals, metal prints, and framed prints, but I will focus on the canvas prints since that's what I ordered. 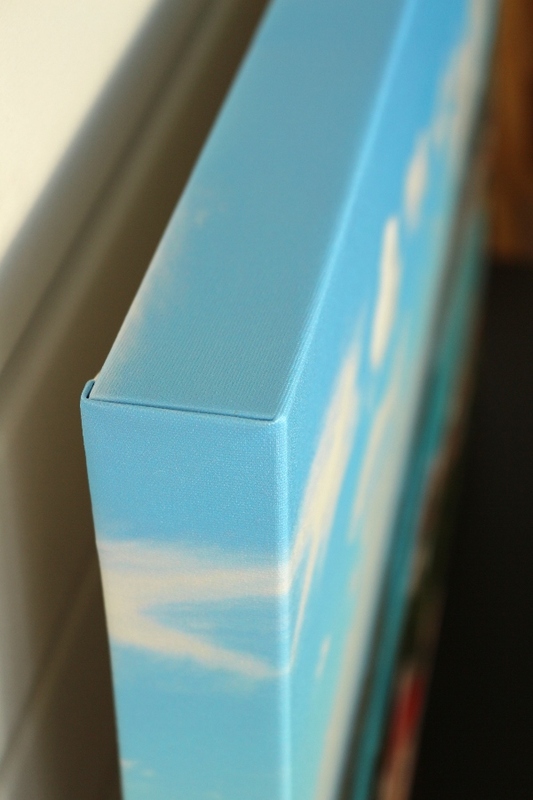 There are 3 different thickness options for your frame, as well as a non-stretched canvas. 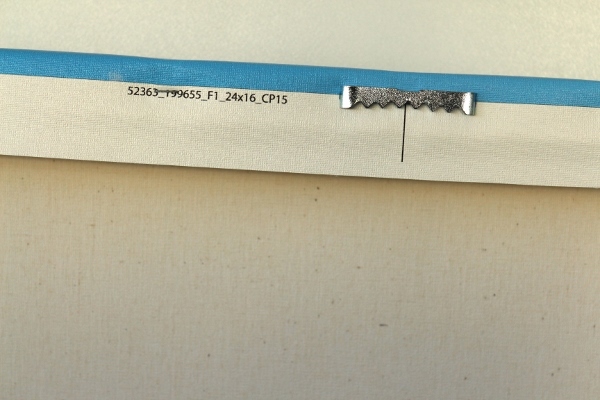 I went with the middle option, which was 1.5 inches thick. Then you can upload a photo and select a canvas size. There are standard sizes as well as custom sizes, so you can find a size that works for any photo and any size wall. 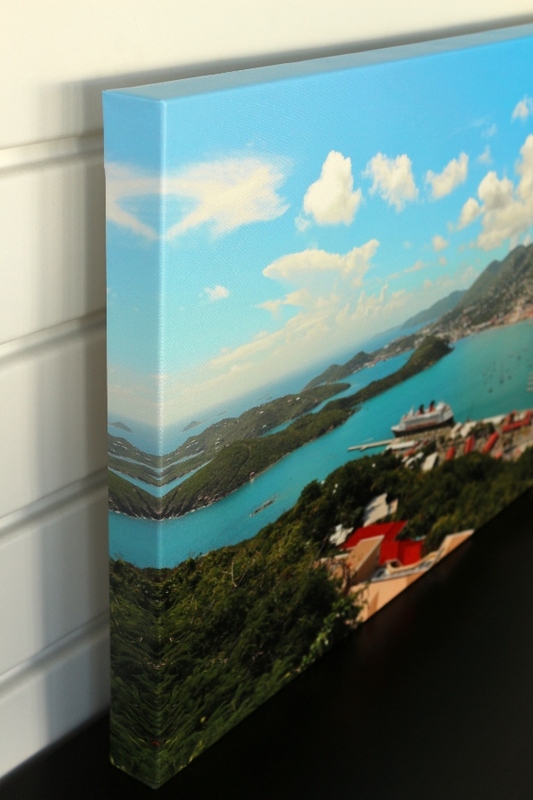 I selected a 24-by-16-inch canvas for my photo, and chose the "mirror wrap" option for the edges, which is exactly what you'd think, the image is mirrored on the sides. You can also choose a solid color for the sides, or have the image carry over onto the sides as well. The print was delivered faster than I expected! My only complaint is that I wish I had gotten a shipping confirmation email so let me know it was on its way. Otherwise, it arrived quickly and well-packaged. Currently, at the time of this post there is a coupon code on their website for 55% off a canvas print, which is an amazing deal. I would look forward to getting more prints in the future to prominantly display photos from other exciting trips around the world. 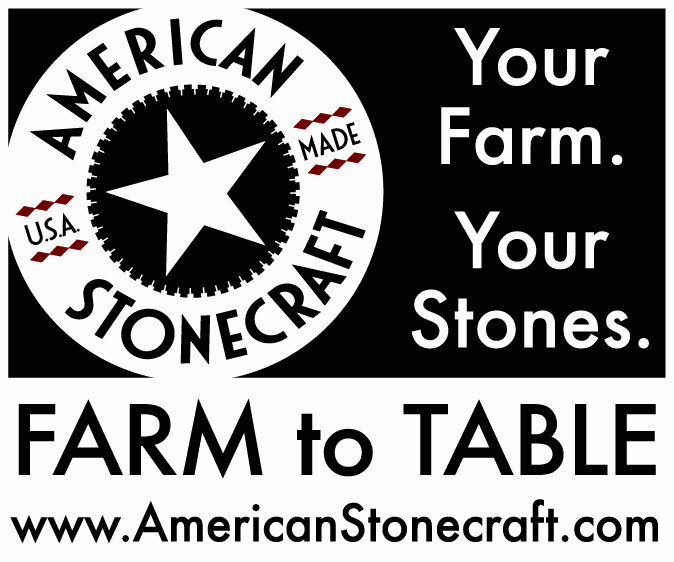 The process was fast and easy, and I'm very happy with the product I received. Disclaimer: I was offered a coupon code for a free canvas print in exchange for a fair and honest review of my experience.